Do you remember Game 7, Kyrie Irving and LeBron James slicing up the Warriors defense in isolation, with Stephen Curry, Klay Thompson and the rest of the Warriors role players on offense either ran away from the ball or rushed wayward shots at the rim? Squint a little and you’ll see Kyrie and James in the form of Chris Paul and James Harden. 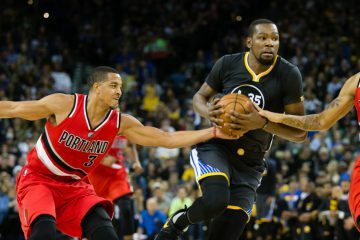 You’ll see the inability to defend from Kevon Looney and Jordan Bell in pick-and-roll just like those 2016 centers, the hurried jumpers from Steph, the low-IQ plays from Klay, and with a twist, the same lack of composure from Kevin Durant. 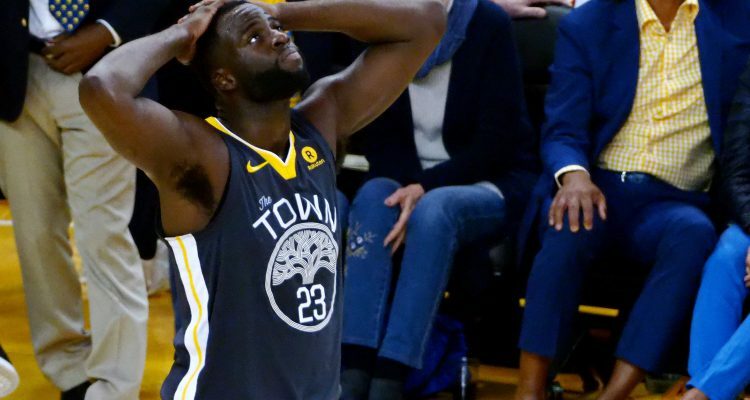 It culminated in the Houston Rockets coming up clutch in a 95-92 win but make no mistake: the Warriors choked Game 4 away. Now it comes down to three games, with two in Houston, against the team that’s won 65 regular season games and beat them twice in the last four. 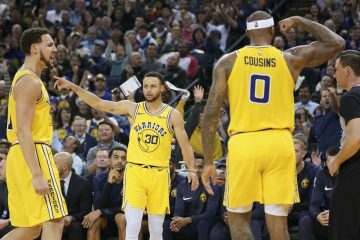 The arrogance and cockiness of the Warriors players and what they can or can’t do against a team lining them up in their sights all season, has vanished. This is a series. And for the first time in two years and the arrival of Kevin Durant, Steve Kerr’s team is truly, undeniably threatened. The Rockets were smacked with two knockout blows, a 12-0 run to start the game, and the Steph blitz in the 3rd, and came away with a win. This doesn’t rank in the top-3 of losses (Games 5,6 and 7 in 2016 have something to say). This one doesn’t feel the same. But Game 5 never did either. After the game, Steve Kerr called it, “trench warfare”. He blamed exhaustion for the avalanche of ugly shots in crunchtime. Mostly, he protected his players from what Mike D’antoni did after Game 3, calling his guys soft. It remains to be seen which method is best. It certainly wasn’t playing his centers over Shaun Livingston (who wasn’t great either), and not getting in the ref’s sight to call a timeout at the end or anywhere in the 4th quarter. Quite simply, the Warriors thought the Houston Rockets would collapse as they have in the past. The arrogance that has captivated their fan-base and oversimplified their identity now seems appropriate when explaining the two losses. They gave away Game 2 then proceeded to lose focus and composure twice going up big at home. While Kerr bailed his players out, Steph took center stage along with Kevin Durant, and displayed the type of leadership most expect and ask from Draymond Green. “Fatigue is not an excuse from either.” He waxed poetically about the experience of playing in a long, competitive series and how the Warriors are steering themselves in the direction of a team that’s looking destined to take everything from them. Next to him, Kevin Durant’s eyes glazed over, perhaps detailing every mistake in the 4th quarter in his head. Every contested shot over a small guard and several passes and turnovers in areas where his handle felt threatened by a defense built to bruise and bang him out of his comfort zone. The two best players on the best team in the world sat together, both equally at fault. They settled for shots, didn’t attacked a Rockets defense with zero rim or perimeter resistance. Durant gave the right answers. Steph gave the ones that represented a mindset the Warriors have yet to activate. They’re against the wall now. No more excuses, no more arrogance, just a sticky confidence that they lost the game more so than the Rockets winning it. And out the door they walked; Durant shuffling by with an annoyed look on his face, and Steph whistling out loud behind him with an eerie calmness. Like the picture of Steph staring into the ether, reminiscent of a serial killer, there he was again; nonplussed, albeit the storm during the loss, and looking forward to the challenge in Houston. There’s a certain self-belief and poise that should satiate even the most nervous of hearts. 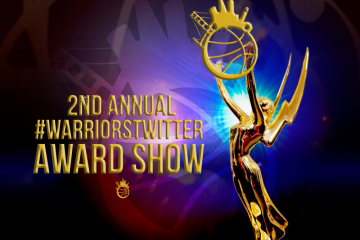 And in Warriors World, there’s never been more nervous a time, with stakes higher than ever before. LeBron James was once doubted as a figure in the clutch. Until Game 6 in Boston and his second title, there was no end-of-game confidence that his team would win, no matter what and where and when. Steph and KD are not there yet. They are also not as steeled in the postseason trials and tribulations like James. Sooner or later for a team this great and dominant, we would get here. 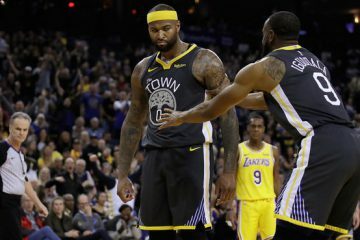 Just like in 2016, nobody could have foreseen this coming, and now tied 2-2, maybe even 3-2 coming back to Oakland, it’s time for the two best players outside of James in the world to prove that they are also inescapable and impossible in the clutch. 1. Klay Thompson took perhaps the worst shot one could take with the final buzzer sounding and got zero criticism for it. He lives the best life. Draymond and Kerr both remarked they tried to get a TO but the refs couldn’t see. The refs were awful all game long but GSW has to get in the view there to get that called. There was more than enough time. 2. Kerr said he wanted Livingston there with 2 minutes to go but without calling their final timeout, it took much longer to get him there. But why not at the 5 minute mark? Why wait? 3. Draymond started the game superb on defense, breaking up lobs and contesting at the rim but playing the whole second half wore him down. He couldn’t rebound and it ended up costing the Warriors possessions, and ultimately, was the difference in the game. 4. Chris Paul noted his foot felt a lot better. It doesn’t seem like he will be truly healthy at any point in the series but Iguodala isn’t either. We’ll see how it looks Game 5. 5. It takes a lot to win a title in 2 straight seasons. I don’t care how great or who you are. Even LeBron James needed luck and an all-time performance to get by the San Antonio Spurs. Now the Warriors face the same obstacles. They don’t have the same IQ and poise LeBron has but LeBron didn’t have it back then, either. It’s earned. And now Steph and KD has their chance.